Banned charcoal exports from Somalia are thriving, generating millions of dollars a year for al-Qaida-linked al-Shabab extremists — and often passing through Iran to have their origins obscured, according to U.N. sanctions monitors. Six years after the U.N. Security Council prohibited exports of prized Somali charcoal to try to choke off a money stream to al-Shabab, an estimated three million bags of the commodity are making their way out of the Horn of Africa country each year, the monitors say in excerpts of a yet-unpublished report seen by The Associated Press. The main destinations are ports in Iran, where the charcoal — already falsely labeled as coming from Comoros, Ghana or Ivory Coast — is transferred from blue-green bags into white bags labeled "product of Iran," the report says. The bags are then loaded on Iranian-flagged ships and sent to Dubai, United Arab Emirates, with certificates claiming Iran as the charcoal's country of origin. Iran "has been a weak link in implementation" of the charcoal ban, the monitors said, adding that Tehran largely didn't cooperate with their investigation. The spokesman for Iran's mission to the U.N., Alireza Miryousefi, told the AP that "Iran fully implements the Security Council-imposed sanctions on Somalia, and accordingly precautionary measures have been taken to prevent their violations. Iran will continue its constructive cooperation with the relevant U.N. bodies in this regard." There was no immediate response to inquiries made with the UAE's U.N. mission. The monitors credited the UAE with seizing some Somali charcoal but said the Persian Gulf country didn't "substantively engage" with their questions about the shipments allegedly made through Iran. There was no immediate response from Somali officials. Made from acacia trees, charcoal from Somalia is cherished in Gulf nations for the sweet aroma it lends to grilled meats and to tobacco burned in waterpipes. It's also highly valued by the Somalia-based al-Shabab, which effectively taxes the charcoal at checkpoints, according to the U.N. monitors tasked with assessing compliance with sanctions on Somalia and Eritrea. The monitors say the checkpoint payments yield at least $7.5 million a year for al-Shabab, which a year ago carried out the deadliest terror attack in sub-Saharan Africa's history. The October 2017 truck bombing killed at least 512 people in Somalia's capital, Mogadishu. At a U.N.-sponsored summit in May on the illicit charcoal exports, Somali officials asked for international cooperation to stop them, saying they fuel insecurity by channeling money to extremists and worsen environmental degradation as trees are cut down in a country already vulnerable to drought, flood and famine. "We need cooperation to implement the U.N. Security Council (sanctions) resolution and ensure the environmental, economic and human losses that happen because of illegal charcoal trade are curbed," Deputy Prime Minister Mahdi Mohamed Guled told the gathering. The excerpts of the monitors' report seen by the AP don't specify what individuals or groups may be involved in the illicit charcoal trade, aside from al-Shabab's de facto tax collectors. The group controls parts of southern and central Somalia and continues to target high-profile areas of the capital with suicide bombings. The report says some of the fake origin certificates for the exported charcoal are outright forgeries, made without any official involvement from the relevant nations. But others, such as the Iran certificates, are "evidently issued through official channels," the monitors said. 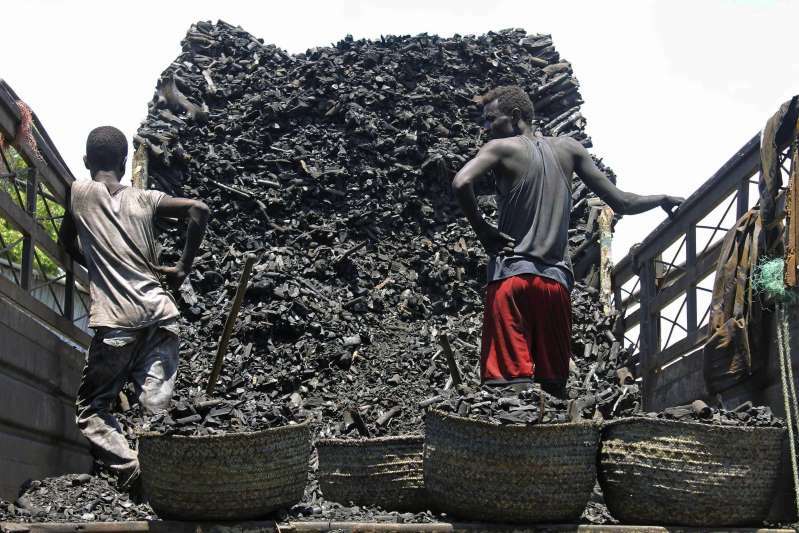 The monitors said other countries such as Ghana and Ivory Coast "have allowed charcoal traffickers to exploit weaknesses" in their systems for issuing such certificates and "bear some responsibility" for the patchy enforcement of sanctions.